Dr. Lynne W. Stockman knew from an early age she wanted to be a doctor. She set her path and never strayed. Since she was 14, her focus on medicine has remained strong, and her dedication to healing others has propelled her toward her goal. 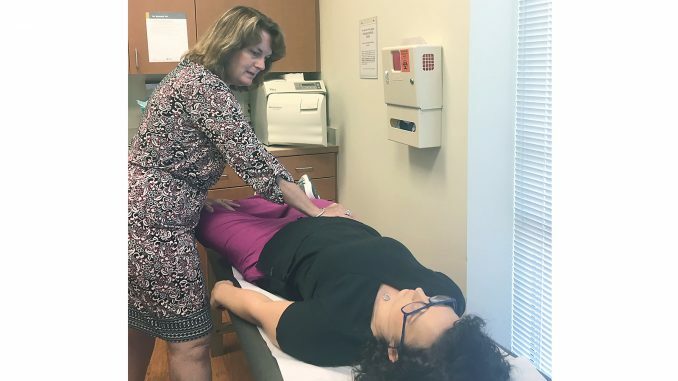 Stockman, a doctor of osteopathy, has been practicing for 23 years in Hampton Roads, most of those spent at North Suffolk Family Medicine, which she opened. She still possesses the excitement about medicine and patient care that she has had since she was younger. Stockman is doing what she always wanted to do, and it shows. “I really do love what I do,” she says. After graduating from Kansas City University of Medicine and Biosciences, College of Osteopathic Medicine in Missouri, Stockman completed her residency in family medicine at Riverside Regional Medical Center and then moved to Louisville, Kentucky, to practice. She and her husband returned to the area, and in 1995, she opened North Suffolk Family Medicine and has been drawing patients from all over the region ever since. “I have patients who come to me from Suffolk, Hampton, Newport News, Richmond, the Outer Banks, northern North Carolina, Yorktown, Virginia Beach and Fredericksburg,” she says. There are generations of families who have all trusted Stockman with their medical care. Stockman even has a patient who moved to Brazil and comes to see her twice a year when she returns to the area. Stockman works hard to build a rapport with her patients. She is the antithesis to assembly-line medicine. Getting to know her patients is paramount to her success, she says. It allows her to better diagnose problems and suggest ways for them to lead healthier lives. Stockman prides herself on her listening skills and attention to detail. Spending time with her patients is key to getting to the bottom of any health issues, Stockman says. She is also very thorough, making sure patients understand her treatment decisions and their medications. Being an osteopath allows her to approach medicine from a somewhat different angle. Osteopathy takes a holistic approach that looks at mind, body and spirit. “I look at a person as a whole. I don’t just throw medication at them,” she says. As an osteopath, one of the treatment techniques she employs is spine adjustments. She is able to do hands-on adjustments that positively affect patients in many ways, she says. Stockman, 56, is part of Bayview Physicians, a multi-specialist group of doctors based on the Southside. As a family doctor, she says she is a “one-stop shop” offering whole person care to include joint injections, gynecological services, natural hormone replacement, back adjustments and diabetic care. She doesn’t just treat patients; she encourages them to get onboard and take control of their health. 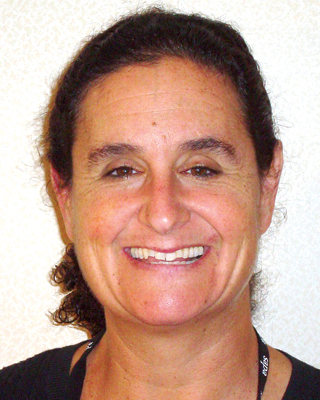 Stockman’s caring and passionate personality is not reserved for her patients. She gushes as she talks about her family. Her husband is a retired hospital chaplain and two of her children are in college. Stockman’s youngest child, Lyndsay, is a teenager who was born with special needs and has surpassed all expectations of progress. Stockman could not be prouder of what Lyndsay has accomplished. The pride and joy that emanates from Stockman as she talks about her family is palpable. Stockman has twice been named a Top Doc by Coastal Virginia magazine, and Hampton Roads Physician magazine highlighted Stockman’s community service. She has served on several medical mission trips and also volunteers in a free medical clinic. It’s important, she says, to give back. “It’s always good to know you’re making an impact on people’s lives,” she says. Contact: Lynne W. Stockman, D.O.